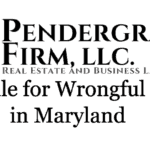 How to File for Failure to Pay Rent in Maryland - The Pendergraft Firm, LLC. Disclaimer, Watch The Video, and Download The Slides! Disclaimer – this is legal information, not legal advice. 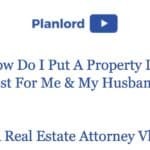 For legal advice please contact a Maryland landlord-tenant attorney. In most situations, landlords must be licensed in order to file for failure to pay rent. Contact your local rental licensing department to see if you are required to have a rental license. 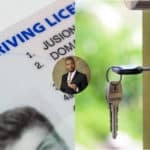 If you are required to have a rental license and you do not, then you may need to either apply for a rental license or file for another cause of action. Contact an attorney to discuss your options. You MUST have a written lease agreement. You must also have a rental history ledger that tracks your tenant’s rent payments in the ordinary course of business. You have to file at your the District Court where your property is located. Go to the landlord-tenant clerks’ office and complete a failure to pay rent form. You should ask for a sample completed form to guide you. Bring two checks – One to pay for the filing fee and one to pay for the Sheriff’s service fee. You can find the current fee schedule here. In most jurisdictions, you will be given your court date on the spot. If not then it will be mailed to you. Bring a copy of your summons because the bailiff will require it to check you in. Bring your rental license or your case will be dismissed. You must prove your case. You must prove the amount that your tenant has agreed to pay you (that’s what the written lease agreement is for) and you must be able to show the unpaid balance (that’s what the rental history ledger is for). Ask for the unpaid rent amount. Ask for possession (if you want an eviction). Defend against tenant’s counter-claims or defenses such as rent escrow. 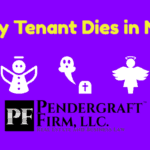 Your tenant has 4 business days from the date of the judgment to file an appeal. If you got a judgment for possession, you must wait 5 days before filing a warrant for restitution. The warrant for restitution form is at District court. Ask for a sample to use as a guide. 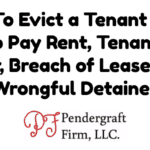 If your tenant does not pay you. You may need to take judgment enforcement action. Need Help Filing For Failure To Pay Rent? I regularly help landlords file for failure to pay in District Courts across Maryland and evict bad tenants. My contact information is below.